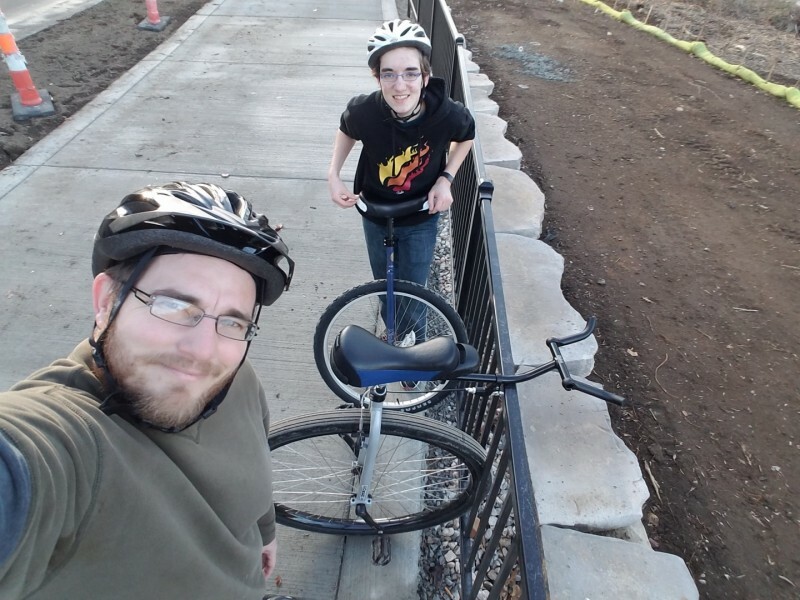 We had a break in the cold so Corvin and I were able to get in a unicycle ride. Its always hard to ride after you’ve been away from it for a while. We got to explore part of a new trail going in near our house and had a great time together. 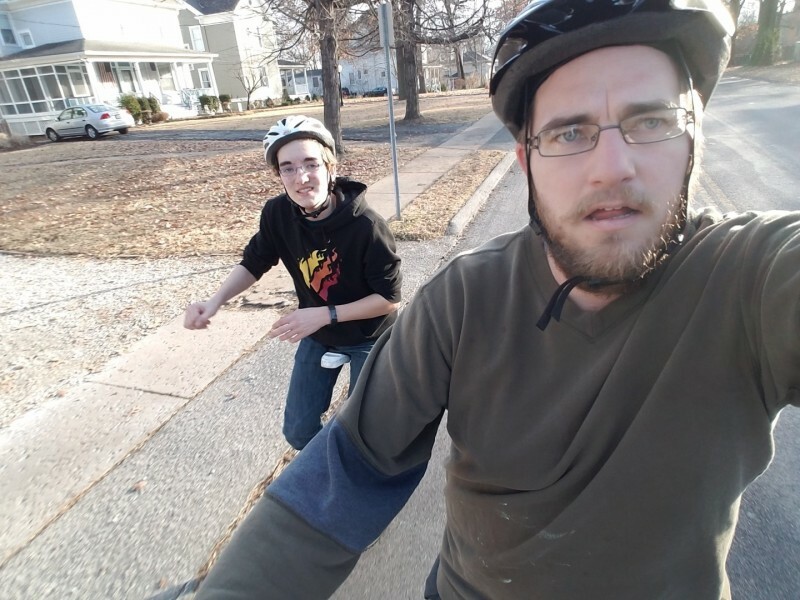 This entry was posted in Unicycle and tagged Corvin, Hogan. Bookmark the permalink.